We thought it was time to make Cape Town’s airwaves interesting again! Bush Radio is pleased to announce that we have two new members on our breakfast team – and they’re starting stiptelik at 6am on Monday, May 9. Monde Kapa: familiar for his work on Bush Radio, a few stints at regional and national radio stations, television and commercials (see Monde’s CV). Monde returns to Cape Town airwaves and our online/mobile radio audience as the host of the energetic and dynamic Bush Radio breakfast show. Monde will be giving back to the station which has introduced many of the radio and television personalities you now see in South Africa. His role will be to ensure that the Breakfast Show continues to deliver the best and most real radio Cape Town has to offer. Bhavna Singh: who may be familiar to most through her work on South Africa’s first 24-hour news channel, as well as her print and online work, will join Monde in the studio. 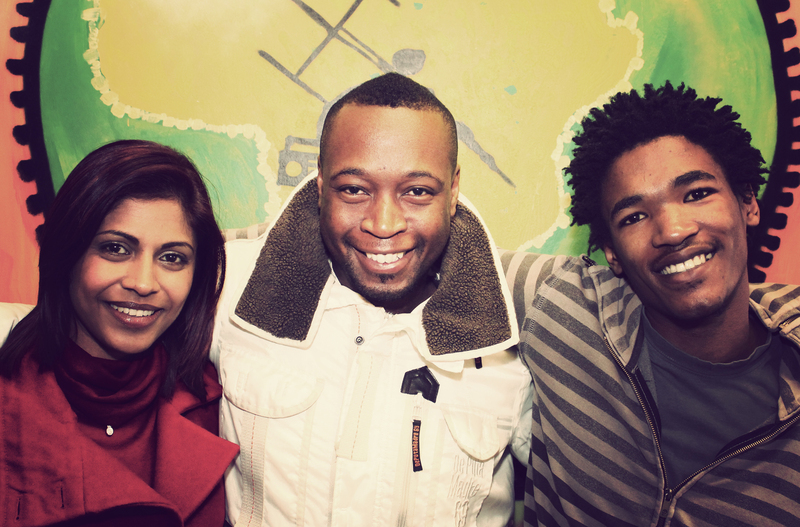 Bhavna describes herself as Durbanite-turned-Joburger finding her way in the Cape on her blog, and what better way for her to experience the Mother City than through the Mother of Community Radio in Africa. The youngest member of the team is Dennis Kofi – affectionately known in the office as Dennis the Menace. Bush Radio is giving this young buck a taste of media and also readying the world for him. Other additions to the Breakfast Team will be announced over the course of the month, so stay tuned to 89.5 FM or visit www.bushradio.co.za.